You are here: Home / Blog / Shakespeare Sites / Take Part in the BBC Shakespeare Contest! OK Shakespeare fans, here’s the latest Shakespeare news, hot off the press: The BBC are running a Shakespeare competition with some fantastic Shakespeare-related prizes. 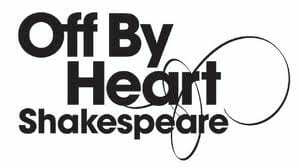 From the BBC: “Schools across the UK are invited to take part in Off By Heart Shakespeare, an exciting new recital contest from the BBC, for students aged 13-15. All students nominated by their school to attend a regional heat will perform a famous speech they have learnt from some of Shakespeares greatest plays. They will also get a fantastic opportunity to join a behind the scenes acting workshop where they will experience Shakespearean language like never before. They will learn how to breathe it, feel it, vocalise it and finally make it their own. The eight finalists will battle it out on stage in a bid to be crowned Schools Shakespeare Champion in a televised final. So there you are. Enter the competition and let us know how you get on. http://www.nosweatshakespeare.com/wp-content/uploads/2014/01/nss-logo.png 0 0 warren king http://www.nosweatshakespeare.com/wp-content/uploads/2014/01/nss-logo.png warren king2011-07-12 19:11:362012-03-23 00:07:03Take Part in the BBC Shakespeare Contest!